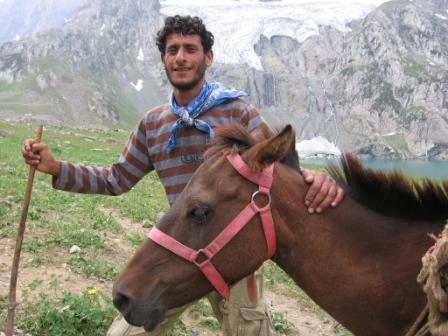 Two foreigners wanting to trek in Indian Kashmir close to the disputed Line of Control with Pakistan at the end of Ramadan. After two nights on his family’s houseboat we are leaving. Tonight we stay on Gulam’s houseboat. Tomorrow — early — we go trekking. 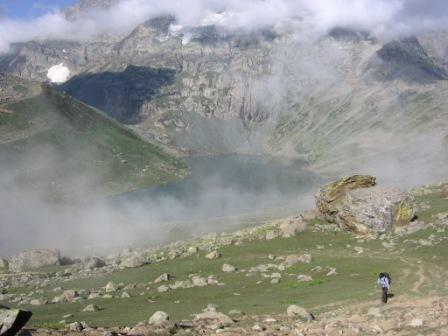 Trek an ancient pastoral route in Indian Kashmir, lush with bejewelled alpine lakes, wildflower meadows, and nomadic herders with their flocks of sheep and goats. Closed to foreigners for decades, this trek is a Himalayan gem. Read the full trek notes here. Following the journals and footsteps of John McDouall Stuart through the MacDonnell Ranges becomes an obsession to identify the explorer’s forgotten and misplaced landmarks. From Chambers Pillar to James Range, the Hugh River valley to Owens Spring, the rugged and complex gaps through the range to climb Brinkley Bluff, finding a route through the scrubby range to a gorge exiting north of the bluff, and on, west-of-north towards Mount Freeling. An overview of the best bushwalking in the diverse regions of Australia’s Northern Territory, from the rugged mountainous Centre to the tropical Top End. This edition also profiles one of the country’s most informal and adventurous clubs – the Central Australian Bushwalkers. Select the file BWA201506.pdf for this edition. Rapid development and road-building advances up remote valleys and over rugged passes are threatening popular trekking routes and local employment in the Indian Himalaya of Zanskar and Ladakh. A climber struggles with the psychological aftershocks of witnessing a 30-metre lead climbing ground fall at Arapiles. Relationship tensions on high during a ridgetop traverse of Central Australia’s Mt Giles and Red Wall around Ormiston Pound. – Dalma – a thick, spicy and hearty dahl with roasted vegetables. An account of the first (and only) east-to-west solo and unsupported foot crossing of Australia’s Simpson Desert from Bedourie to Old Andado homestead in July 2008, covering 450 km in 24 days. One man pulling twice his body weight (including almost 100 litres of water) across more than 1000 sandridges of the largest parallel sandridge desert on Earth.